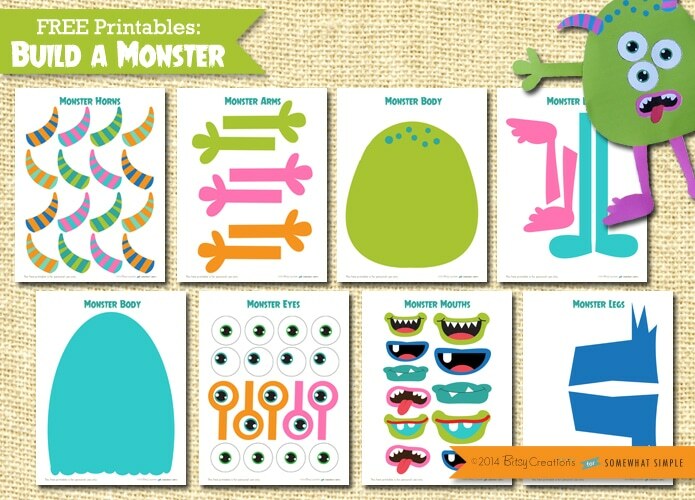 Build a Monster Printables– For the younger ones, you can cut these out ahead of time and just let them glue away. For older ones, let them practice their cutting skills! 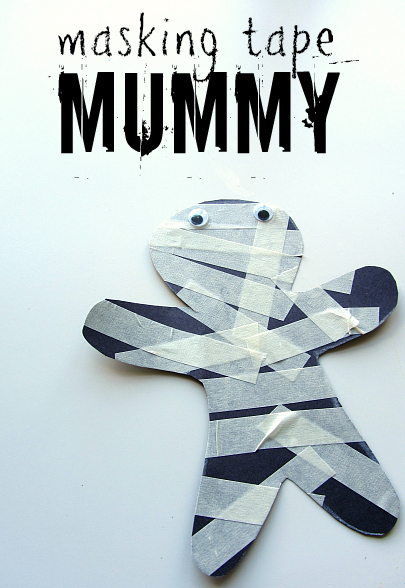 Masking Tape Mummies– This is especially great for the younger kiddos! If you need an easy project for a Halloween party, you can buy people shapes at education-supply stores so that you don’t have to cut them all out yourself. 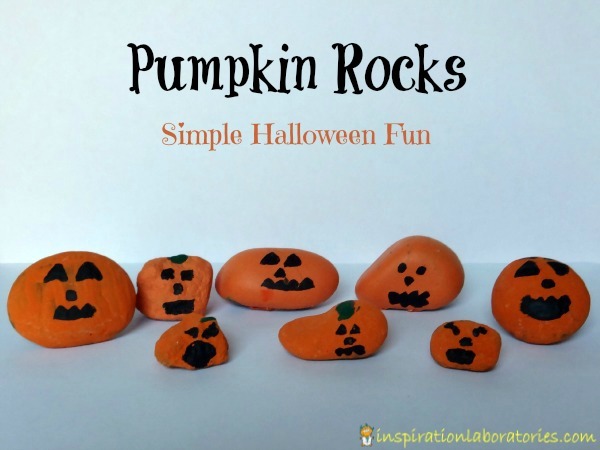 Pumpkin Rocks– These can be as simple or fancy as you like! Plus, it’s a multi-day project. Go for a nature walk to find the perfect rocks, paint them, let them dry, then use black paint or black sharpies to put faces on them. These would look super cute on your front steps or by your front door on Halloween night! Magnetic Jack-O-Lantern– This is a great activity to make ahead of time, then pull out whenever you are making dinner or doing something else that requires a kiddo to be busy for a little bit. Not really a craft for them so much as for you, but they’ll get to have fun being creative again and again! By the way, magnetic sheets are awesome! I’m sure there’ll be more Halloween ideas soon!